We talk about a diabetic’s blood sugar being “regulated” when the supply of food and insulin is well balanced and results in normal or near normal blood sugar throughout the day. That’s the ideal for people and for dogs. 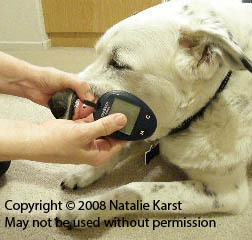 But some realities of life for a diabetic dog limit how close you can safely come to near normal blood sugar. Your dog can’t inject himself as needed. And she can’t tug on your sleeve and say “Hey, blood sugar’s high here. Please give me some insulin.” Testing the blood glucose and monitoring signs of both high and low blood sugar are valuable, of course, but the vast majority of people caring for diabetic dogs cannot be home with them 24 hours a day 365 days a year to monitor the blood sugar level the way their bodies would. While high blood sugar is uncomfortable and hard on the body long-term, low blood sugar can kill quickly as the brain starves for lack of energy. So the most important thing is to do all you can to ensure that your dog’s blood sugar never goes too low. Persistently high blood sugar can result in ketoacidosis, which can also kill, so it’s important to get the blood sugar down into a healthier range. With those caveats in mind, your diabetic dog is “regulated” when s/he has the best blood sugar s/he can safely maintain. What that level of blood sugar is can vary tremendously and depends not only on what your dog does with food and insulin but also on your schedule and time constraints. A dog who is home alone for 8–9 hour per day while family members are at work, for example, needs a safety net of blood sugar that is certain not to go dangerously low. Responses to insulin and food also vary tremendously. Some dogs get a nice stable level of blood sugar with little variation between the highest and lowest level. Those dogs can be maintained at lower overall blood sugars than dogs who get a large variation between the highest and lowest level of blood sugar (often because they are very sensitive to insulin or their diet does not match the insulin’s action well). Some dogs are more consistent than others in their blood sugar levels from day to day. There is always some variation daily in blood sugar levels. It’s not like a dial that is set in one place. Without any change to food, insulin, activity, etc., your dog’s blood sugar at 10 a.m. could be 150 today, 132 tomorrow, 178 the day after. That’s why it’s important to have a cushion in the range of blood sugars your dog goes through. Blood sugar that is 85 today could be 50 tomorrow. The more consistent and level your dog’s blood sugar is, the tighter the diabetes control can be. Normal blood sugar for a nondiabetic dog is pretty much like normal blood sugar for people.  It falls generally between 75 and 120 mg per deciliter (mg/dL) [Merck Veterinary Manual]. Anything significantly below 80 mg/dL is in the low or hypoglycemic range and blood sugar lower than 60 is a crisis, especially if it is likely to drop further. Blood sugar that persistently exceeds about 180 mg/dL will cause the body to spill glucose into the urine [Merck Veterinary Manual]. The narrow normal range for blood glucose is maintained by the body constantly monitoring the blood sugar level and releasing insulin from the pancreas as needed. Diabetic dogs basically are no longer able to make their own insulin. They are like people with Type 1 diabetes and are completely dependent on injections for insulin. Diet – how much food, how often they are fed, and how much of the food consists of simple carbohydrates, complex carbohydrates, protein, fat, and fiber. Insulin – type of insulin(s) and how often it is given. There are generally only a few kinds of insulin to use but many ways to vary diet (see the insulin and food page). Ideal regulation of a diabetic dog is blood sugar that never drops below 100 or exceeds 150 mg/dL. That level of regulation often is not possible. So aim to keep the blood sugar at the lowest level your dog can safely manage. We aim to keep Chris’ blood sugar under 200 and in the 100–150 range most of the day. His fairly tight regulation is made possible by home blood glucose testing, the moderate difference between his highest and lowest blood sugar levels, and someone being home with home most of the day most of the time. If we have to be gone for an extended period during the day, I reduce his insulin dose and allow his blood sugar levels to stay in a higher, safer range (eliminating a risk of low blood sugar). Chris does tend to get an increase in his blood sugar level about an hour after eating. Since it is brief and his diet and insulin have been balanced as best they can be, we don’t worry about that brief rise in blood glucose. He has never been one to have a really flat range of blood sugar from high to low. So we concentrate on the lowest number and the overall number of hours in a day he spends in a good blood glucose range. Copyright 2008–2015. All rights reserved. Photographs may not be used without permission. For more information, contact K9diabetes.